Matthew Podolnick is a shareholder and a member of the Firm's Management Committee. He concentrates his practice in the areas of divorce and family law. Mr. Podolnick offers his family law clients a blend of legal knowledge, business sense, compassion, and tenacity. Because of these notable skills, Mr. Podolnick can help clients through the emotional and financial burdens that come with family problems. Pre-divorce advice and guidance, to help clients understand their rights and options. Divorce and separation: asset protection, division of assets and liabilities, alimony, child support, custody, and visitation. Post-divorce matters: adjusting alimony and child support payments due to changed circumstances; enforcing property settlement agreements and other court orders; changing parenting schedules; relocating/moving within or out of state. Defending termination of parental rights. Structuring, negotiating, and drafting pre-nuptial agreements and co-habitation agreements. 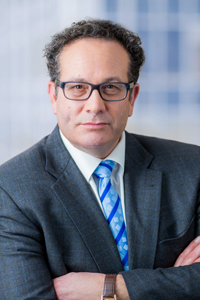 Although he concentrates his practice in family law and divorce litigation, Mr. Podolnick brings to the table unique skills drawn from his years as a seasoned commercial litigator, with particular expertise in commercial litigation. Before attending law school, Mr. Podolnick gained considerable business knowledge by working in the corporate offices of Ford Motor Company in Dearborn, Michigan. After law school, Mr. Podolnick served as Judicial Law Clerk for the Honorable George L. Seltzer, Superior Court of New Jersey Law Division, Atlantic County. Mr. Podolnick also assists people going through the dissolution of their marriage or dealing with the multiple issues that impact families, by offering private mediation services. He also serves as an arbitrator for the South Jersey Fee Arbitration Committee to address fee disputes between clients and their attorneys. Due to this broad knowledge base, Mr. Podolnick brings added value to his clients in general and to his family law clients in particular. 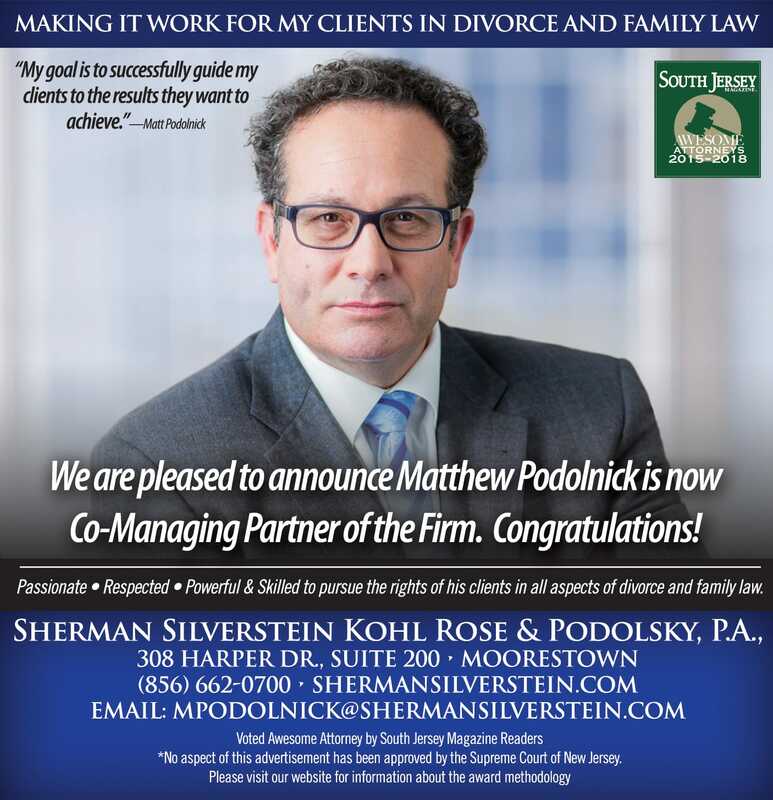 Mr. Podolnick's practice and approach to helping his clients was profiled in South Jersey Magazine in an article entitled "Making it Work: Attorney Matthew Podolnick successfully guides clients through some of the toughest situations they'll ever face". Suing for Damages in Cases of Adultery by Matthew Podolnick, The Legal Intelligencer (07/14/2015) Reprinted with permission from the July 14, 2015 issue of The Legal Intelligencer (c) 2015 ALM Media Properties, LLC. Further duplication without permission is prohibited. All rights reserved. Mr. Podolnick enjoys cooking, skiing and working on his garden. He also enjoys spending his down time with his wife and children.